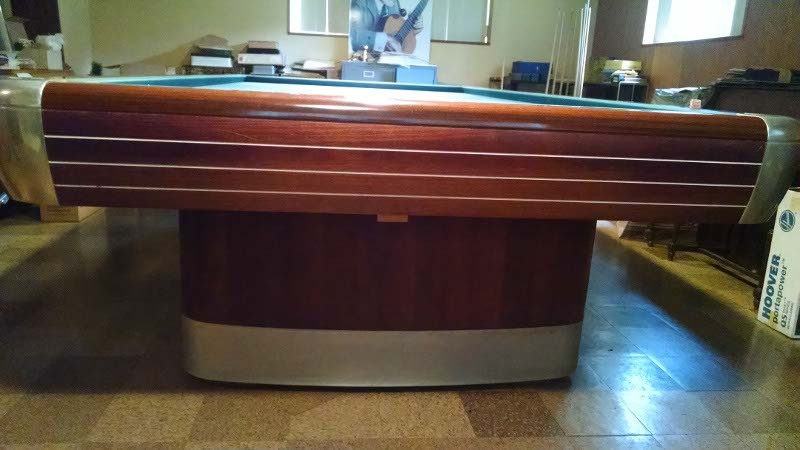 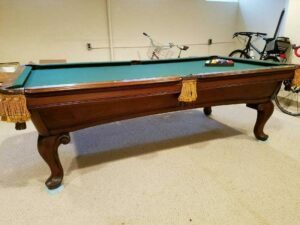 If you’re looking for an carom table that blends both traditional and modern styles, look no further than this incredible antique 10’ Brunswick Anniversary Carom edition! 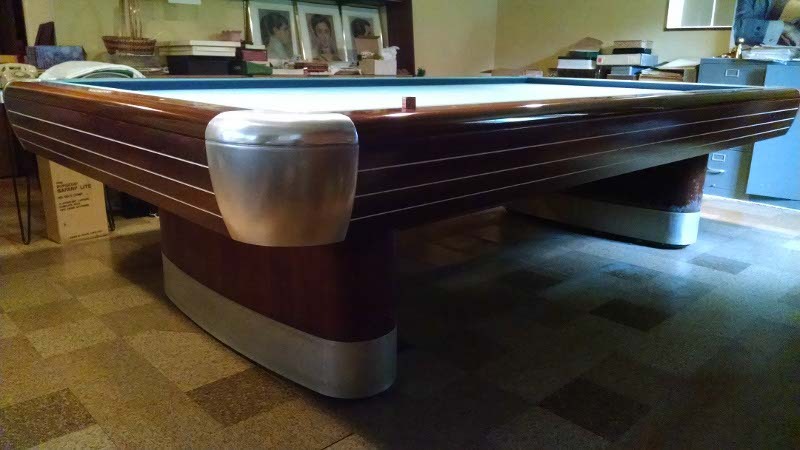 The handsomely finished walnut clad exterior combined with the modern aluminium accents, rounded corners and smooth edges make this table an attractive addition to your game room. 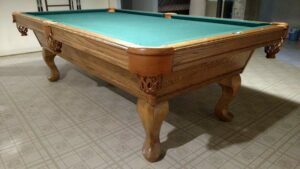 While still technically an “antique” table, the attractive contours and corner castings add just enough modern flair without detracting from its traditional beauty. 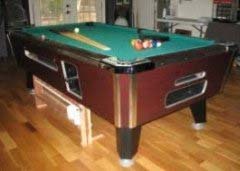 Complete with superior cushions, perfectly matched slate, and new style rail construction, this 10’ Brunswick Anniversary table is a must-have for the avid 3-cushion billiard player! 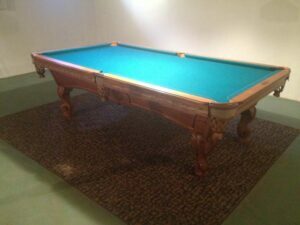 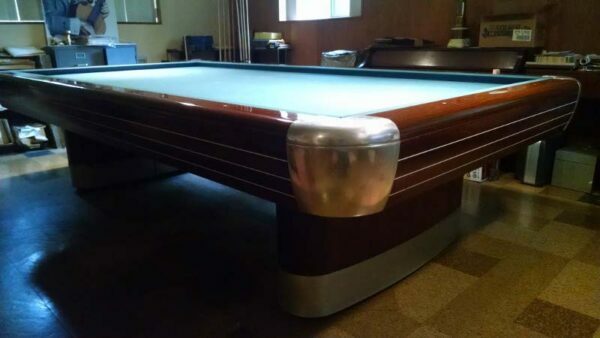 The table’s hardwood frame sits upon two oval-shaped pedestal legs, which carefully and evenly support the weight of the sturdy frame and bed slate for a perfect playing surface during every game. 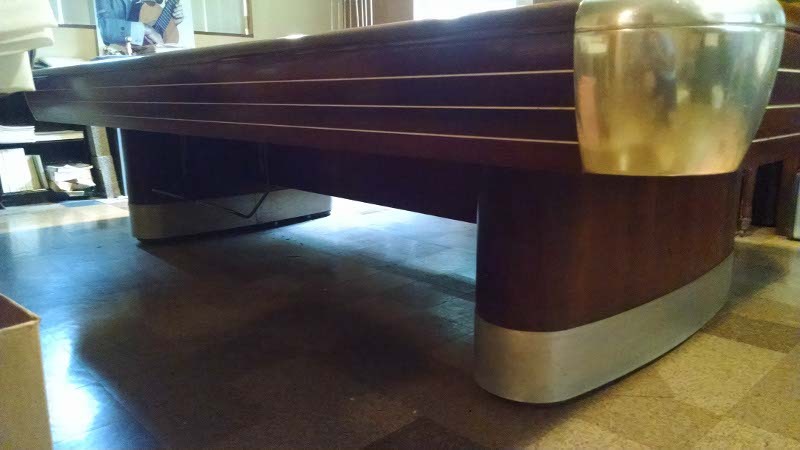 Maintenance and upkeep are a breeze thanks to the aluminum band covering the base of the legs and four corners of the table which are easily cleaned. 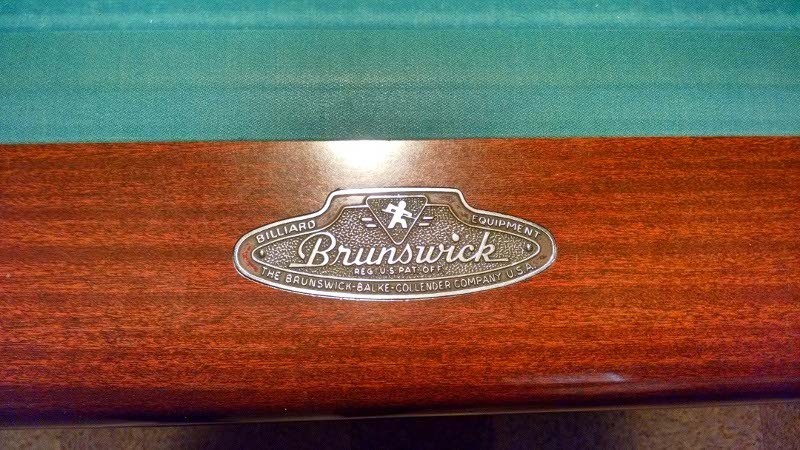 Overall, this Brunswick Anniversary is a must-have for the billiard enthusiast that delivers superior gameplay for players novice to pro!